President Pratibha Patil on Wednesday asked students to learn about their culture, ethos and the eco- system besides studying their regular textbooks to pave way for a better society. "I would encourage you to learn about the diversity of our country in culture, languages, customs, ethos and traditions. It is this richness and multiplicity, which makes India a unique and great nation. "Moreover, we are a democratic nation, in fact the world's largest democratic nation. The students, representing the coming generation, must avoid narrow creeds and seek to build a path for the betterment of society," she said addressing students of one of the oldest schools of the country. Terming the schools as "the basic pillars" for the nation, the President said, "The stronger a system of school education, greater the prospects of progress of a country." President said the students' objective should be to become intellectually competent and technically skilled to contribute to the nation's progress. The President also asked parents and teachers to inculcate in students the habit of reading. "You (students) must use your time in school to learn as much as possible. You should develop a habit of reading, not only textbooks, but also newspapers and literature. India is a storehouse of knowledge. "We should teach our children to respect nature for our own good. We must sensibly use its resources, work to conserve its rich flora and fauna, as well as adopt environment friendly approaches," she said. Being a finance management student I always emphasis on saving and investment for th e future. Every body should learn how to save and invest money in a profitable way. I am learning it now but I think I would have learned it in my childhood. Now I am a strong believer that every child should know about saving and every parent should teach saving techniques to their child. If children will know the benefits of saving then they will start it in their early ages, which will be a great help in the future time. 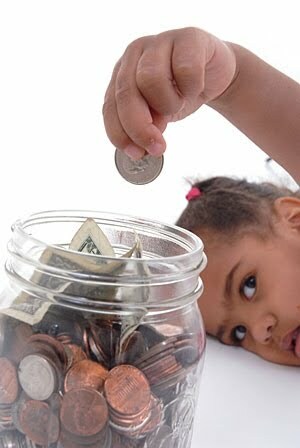 In my opinion the preteen years are a golden time to teach kids about saving for the future. They already know the value of money, having learned basic money concepts in school. c. Save and let it grow. Now tell them that - It's good to spend for one's needs, but if all the money is spent, there will be none left for tomorrow. If money is kept in their wallets, it will be stagnant. But if money is saved and invested, it will grow to a bigger amount, which is good for their future. Set the goal, Widen their vision by talking about what they want for the future. Would they like to own a car someday? Would they like to buy a big house with a garage and a doghouse for their pet? Setting goals this early, no matter how simple they may be, will help the kids aim for the future. After setting goals, tell how to attain them. Tell them - They need to save regularly and invest their money so it will earn more. These savings should not be touched anytime they want to buy a toy. Instead, these savings should be kept for their future goals. Children learn best by example, so use examples to teach them like bank deposits, mutual funds, and other saving schemes. Agree them to save a reasonable amount in Festivals, Birthdays, and in many other occasions. The steps taken by child and parents now will bear fruit in the future. If child will be financially secure then the option will be always open for the growth and prosperity.